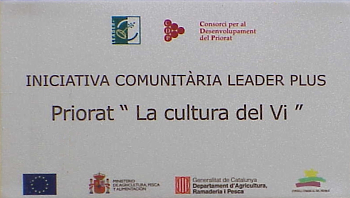 The Leader Community Initiative uses high quality foods and wine as an operational tool to develop other agritourism products and thus contribute to the social and economic development of the Priorat region. Tourism is no longer just an end in itself but becomes the basic tool for marketing and the promotion of food products. link the tourism promotion of the region with the existence of food products. These seven areas include the costs of creating a corporate image, promotional and branded products, the restoration of oil mills and warehouses to accommodate visitors, farm shops, the R & D of new technologies, new products or improvement of existing ones and investments in the introduction of quality control systems. 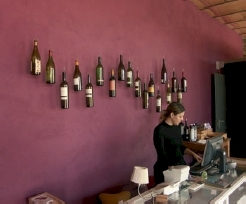 The Priorat Local Action Group consists of 21 local councils and 28 private entities, including the wine Regulatory Board, 8 cooperatives, warehouses, 3 tourism boards, an agricultural union (Unio of Pagesos) and hoteliers and tourism entrepreneurs. The potential beneficiaries are companies and individual entrepreneurs who employ less than 50 workers and have an annual turnover of less that 7 million euros. Total aid amounts to 3.6 million euros over 5 years, with 50% funded by EU, with the remaining 50% contributed by the Ministry of Agriculture, Fisheries and Food of the Generalitat de Catalunya and Local Government.